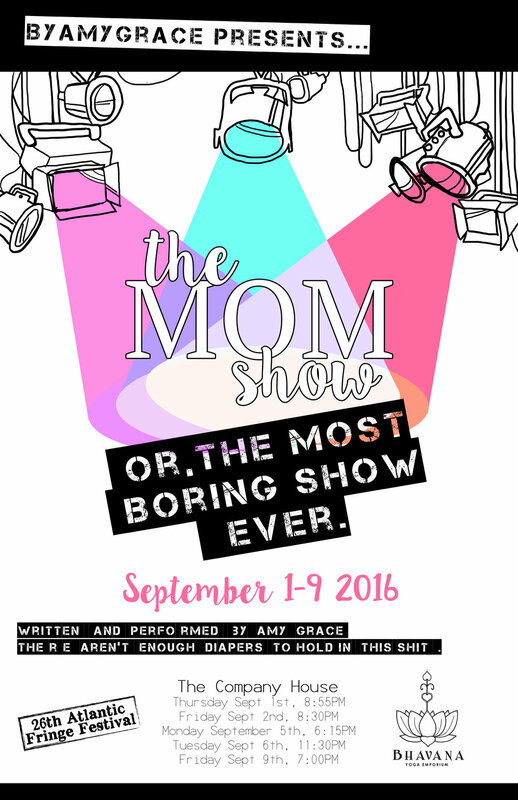 The Mom Show or the Most Boring Show Ever debuted at the 26'th Atlantic Fringe Festival at The Company House, sponsored by Bhavana Yoga Boutique. 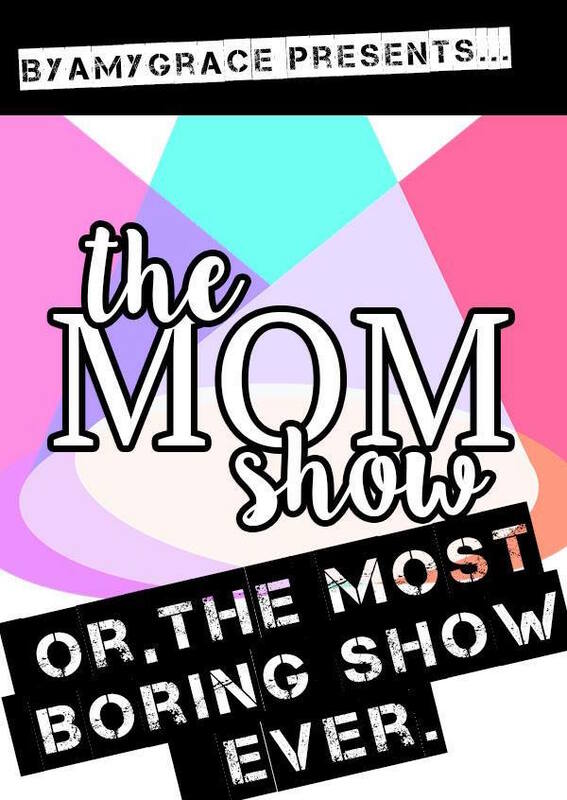 My favourite mamahood podcast, Atomic Moms graciously squeezed me into the 100th episode! 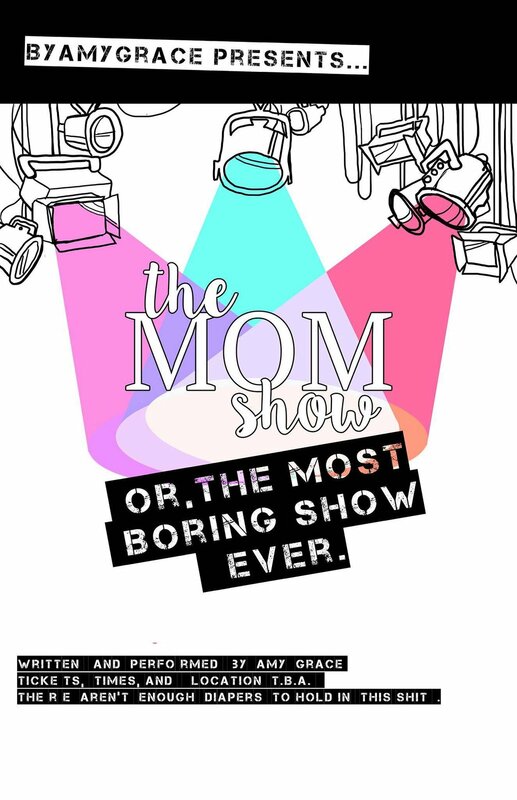 It was amazing to talk to Ellie Knaus in real time and share with her a bit about The Mom Show or the Most Boring Show ever and discuss why I keep listening. 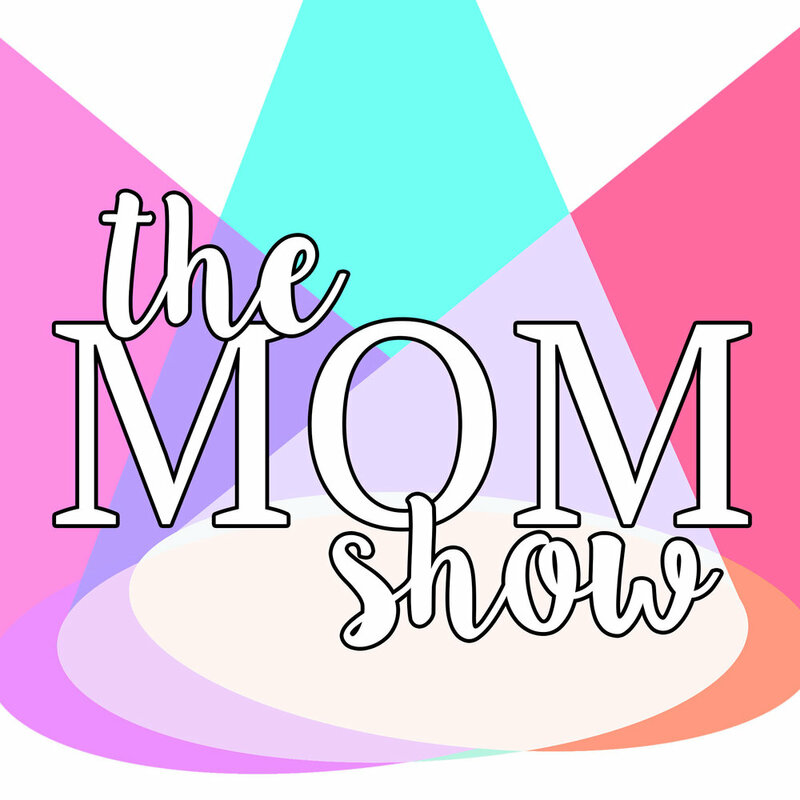 This is an amazing podcast that uplifts mothers and brings awareness back into womanhood. My interview is at 49:44, but make sure to listen and subscribe to this amazing podcast! 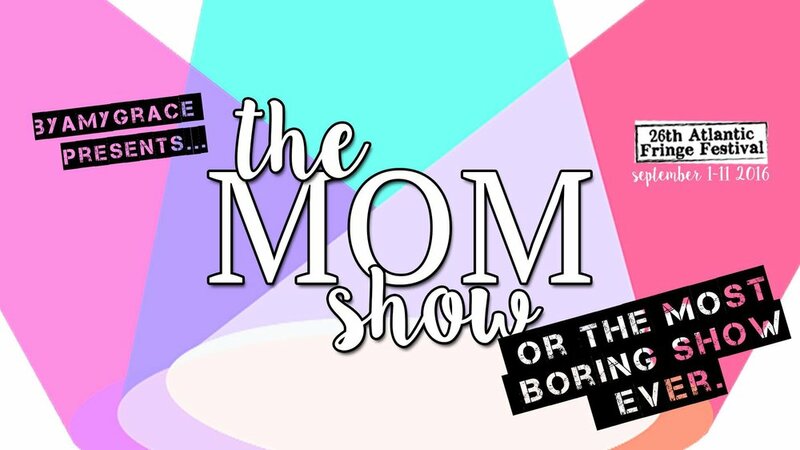 The Mom Show is a delightful surprise that delivers a postpartum dissection of motherhood from the stretched belly to a personal identity crisis. Viewed as either a glowing pregnant woman creating life or an obstacle to the party planning process, the modern mother is expected to be everything but an inconvenience. 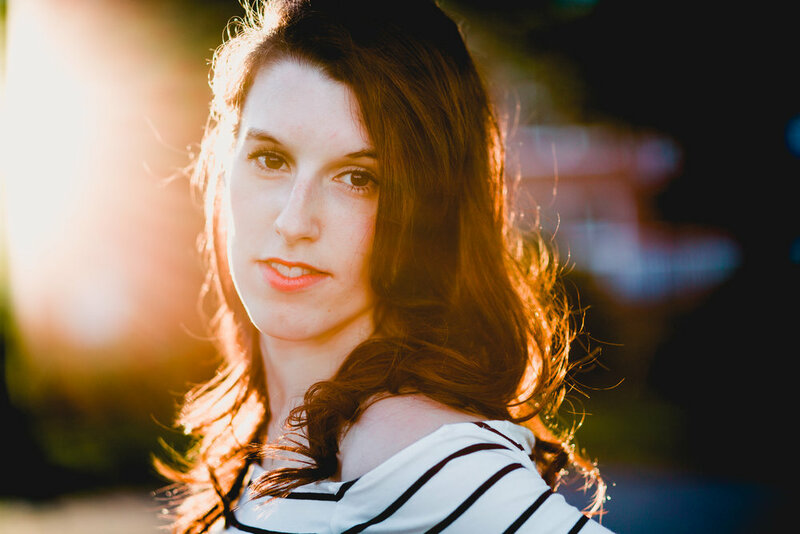 Amy Grace is a sharp performer who manages to make her show relatable and funny to an audience with or without children. In a generation where “adulting” has become a verb to describe performing the day to day minutia of life, being a mom seems to be doing it on a whole other level. A delightful one-woman exposition of pranayama deep-breathing, couples’ posturing on Instagram, and the pains and labours of motherhood. Amy Grace takes us on a joyful tour of her life as a child-bearing woman without comparing herself to Meredith Grey, M.D.